If you’ve walked into any big store after Labor Day, you know that the retailers of America have already decided Halloween starts in September. In fact, Halloween is really its own business now, maybe even lasting longer than Christmas season. So naturally the major entertainment activities are starting their Halloween festivities earlier and earlier. This means that starting in September, you can enjoy all the frights and spookiness you’ve come to expect from a major theme park at Six Flags Fright Fest. 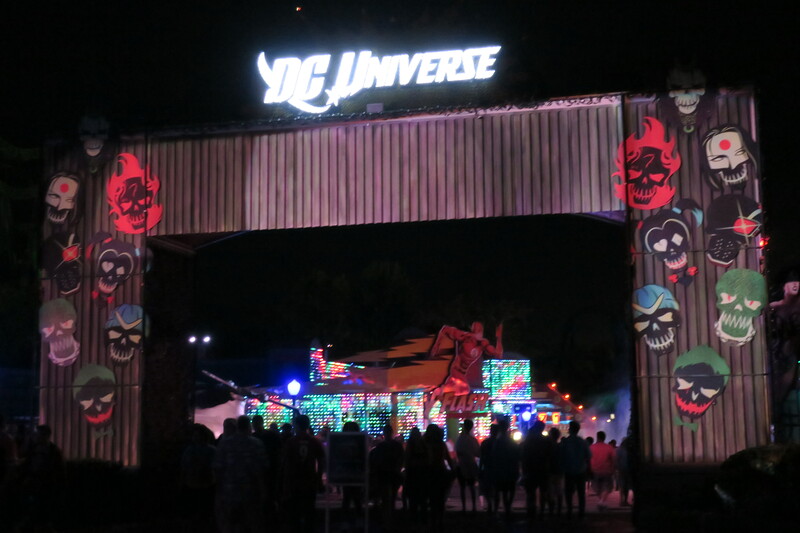 Six Flags has been playing catch-up in recent years to Universal’s Halloween Horror Nights, which has been the dominant player in big-budget Halloween haunts around Los Angeles. Disneyland always does a great job with decor, but they’re too family-friendly to really be competing for the same audience. And Knott’s Scary Farm is just not quite in the same league. Six Flags, though, always had the potential to compete, with Universal for young thrillseekers. They already blow them out of the water with regard to scary rides. Last Saturday I was able to go to their opening night of Fright Fest, and it’s definitely worth your time. First up we were shown a new kind of concept for Fright Fest. 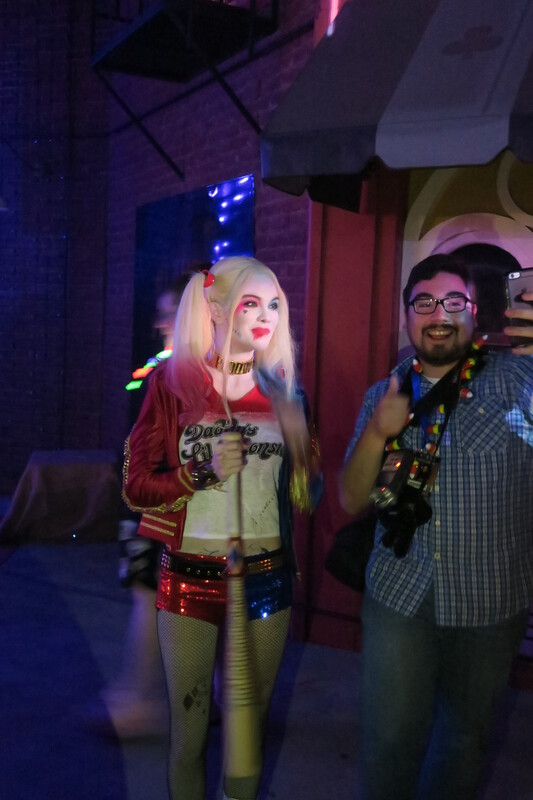 It was Suicide Squad: The Six Flags Fright Fest Experience. This was a themed area of the park that was not a haunted maze. 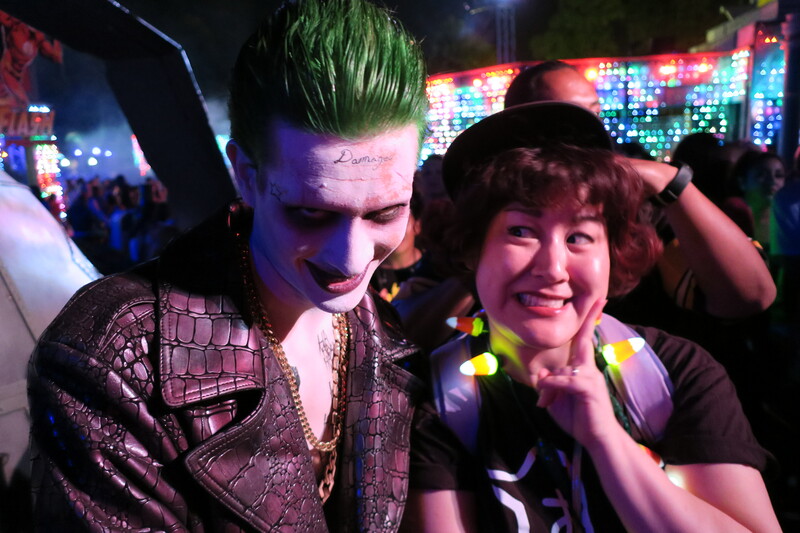 Instead, it had sets, and actors in costume portraying the Joker, Harley Quinn, Katana, and Killer Croc. Joker and Harley were fully acting in character, engaging with guests and posing for pictures. 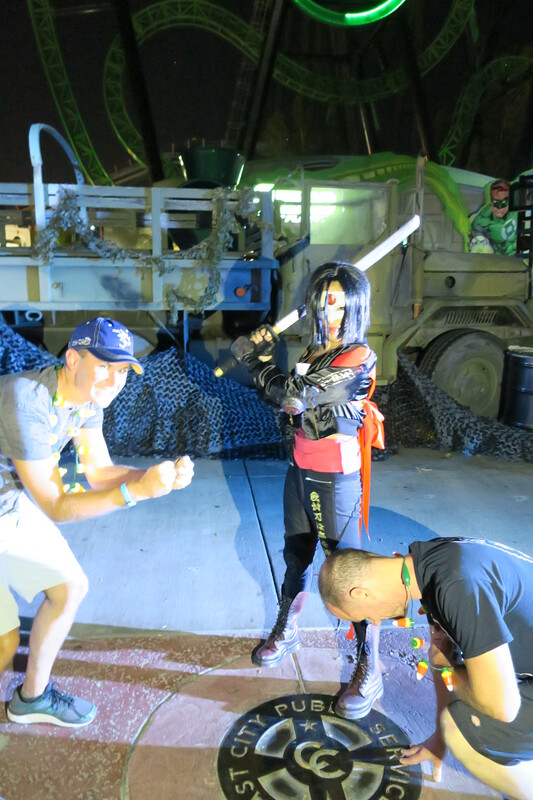 Katana and Croc were mostly just there for pictures, but the costumes were top-notch. 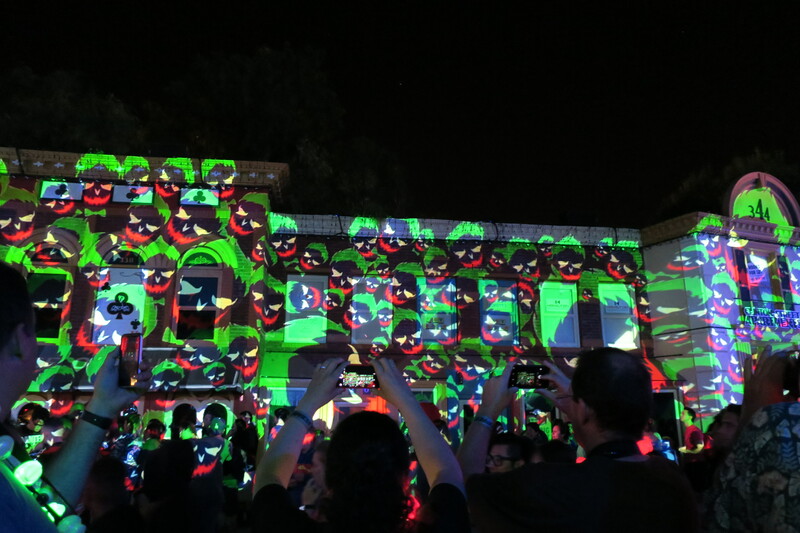 The other major piece was a building that had been turned into a screen, with animated scenes being projected onto it. There were several different scenes to see, including one with Diablo, so it’s worth sticking around to watch a few rotations. The whole area was a collaboration with Warner Bros. and is, of course, based on the movie. It was a very fun area to walk around, especially since it was on the way to/from several rides. 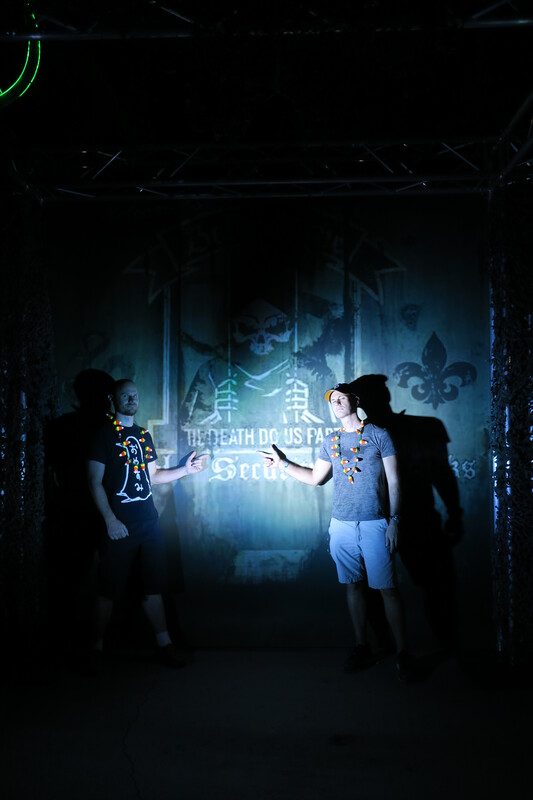 From there, we went to the first maze, called Aftermath 2: Chaos Rising. Billed as the park’s “largest outdoor maze to date,” this attraction has the distinction of not being confined to a dark building–it’s all in open air. This gives them freedom to have bigger sets, and to have the “infected” be less predictable in their scare tactics. It looks like it’s got a high production value and is definitely long. You get to walk through it for a while, instead of being over too quickly. tremendous help and zipped us around to all the highlights. Our experience was vastly improved thanks to him. Once we started off on our own, we went through the rest of the mazes fairly quickly. There are 7 in total: the aforementioned Aftermath 2, followed by Willoughby’s Resurrected, The Willoughby’s Garden of Darkness, Chupacabra, Vaulta 666, Toyz of Terror 3D, and Red’s Revenge. For the most part, they are all distinct and specialize in something unique. 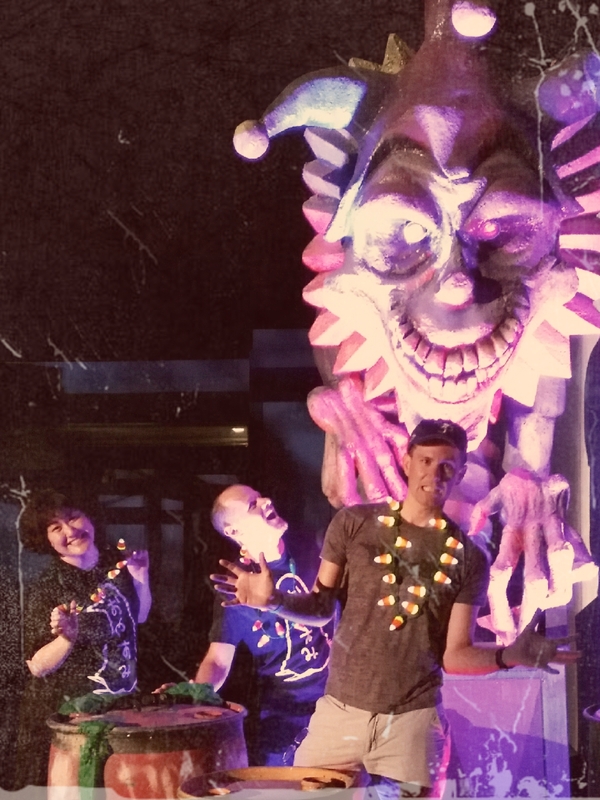 The Toyz of Terror takes its 3D seriously–it was a trip to walk through and feel like you were stepping through the floor, and then there’s a feature toward the end that had everybody impressed, but it’s too good to give away! Red’s Revenge specialized in high-quality sets and sculpted monsters more than people jumping out at you, so it was nice to just enjoy the artistry on display. 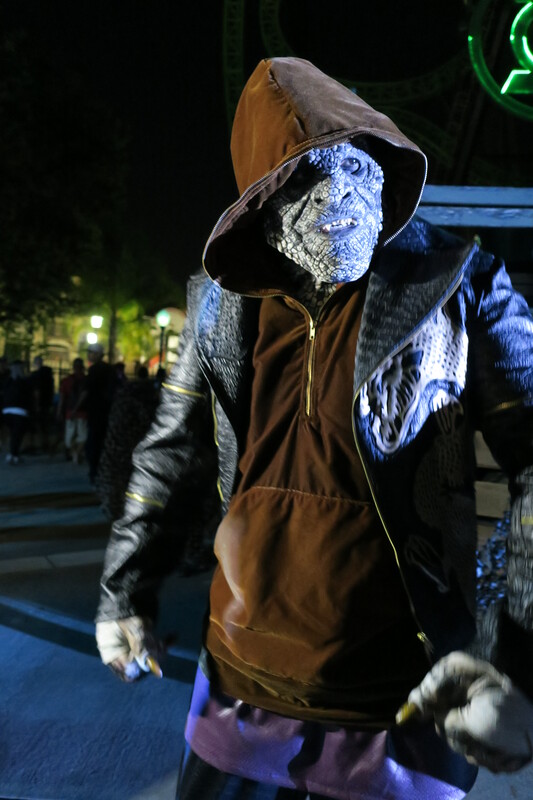 Besides the Mazes, there are six Scare Zones–decorated areas along the park’s walkways, with roaming monsters to terrify you. Some of them are smaller than others, but a couple really stand out. 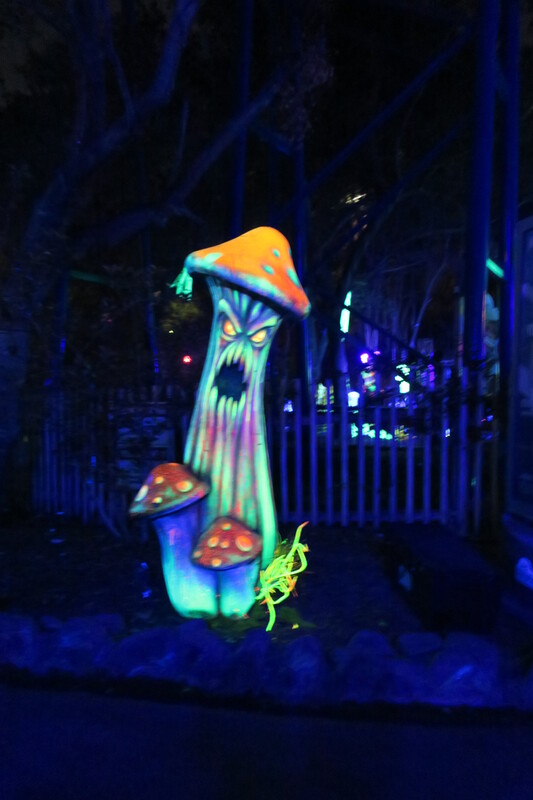 Nightmares-A Twisted Fantasy is especially cool, with a demented Alice in Wonderland feel, including neon mushrooms and a giant tree-monster on stilts. It was awesome to walk through. I’d also like to applaud Six Flags’ liberal use of fog. 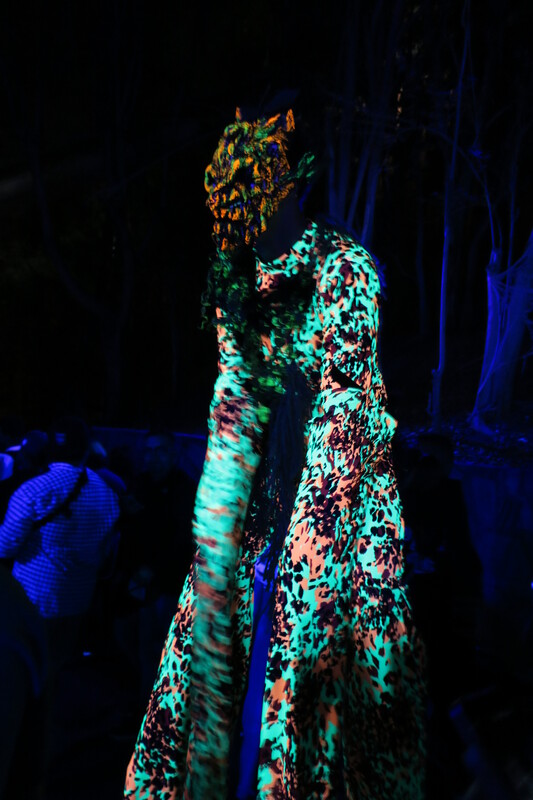 Besides making it easier to scare the visitors, it’s just plain fun to walk through! One thing I missed this year was the monsters that wore metal plates on their knees and would run and slide towards you, spitting sparks from the plates grinding against the ground. I did see one…but that was it, and they were my favorite in past years. I wonder if they have cut back on them because of legal issues? I hope not. 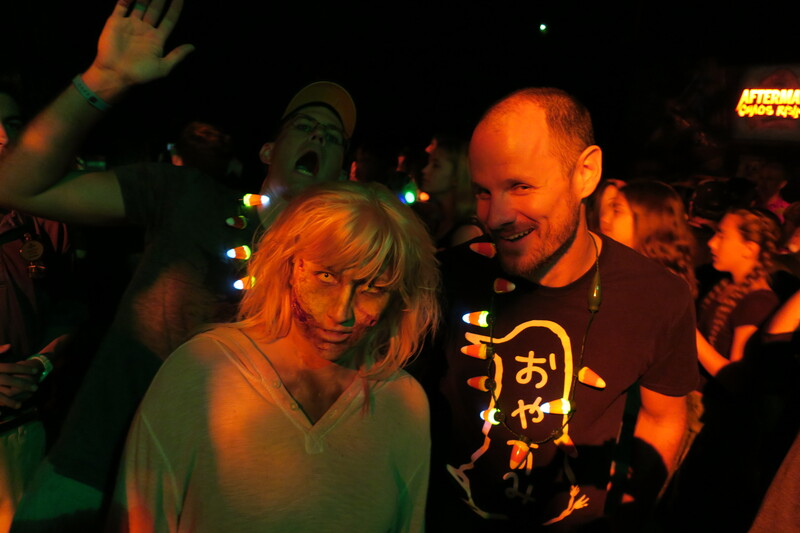 The last aspect of Fright Fest is one I did not get to experience much of–the shows and “experiences.” There are several good spots for photos that I didn’t indulge in because I was in a hurry, and there are two stage shows. 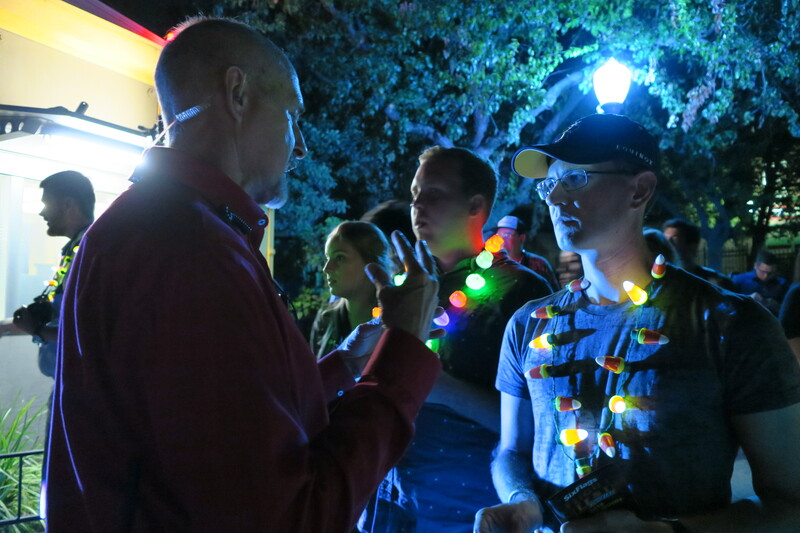 I walked past one–a nightclub-esque music show that seemed very high on energy–but I never even saw the hypnotist. There are also activities for younger audiences during the daylight hours. 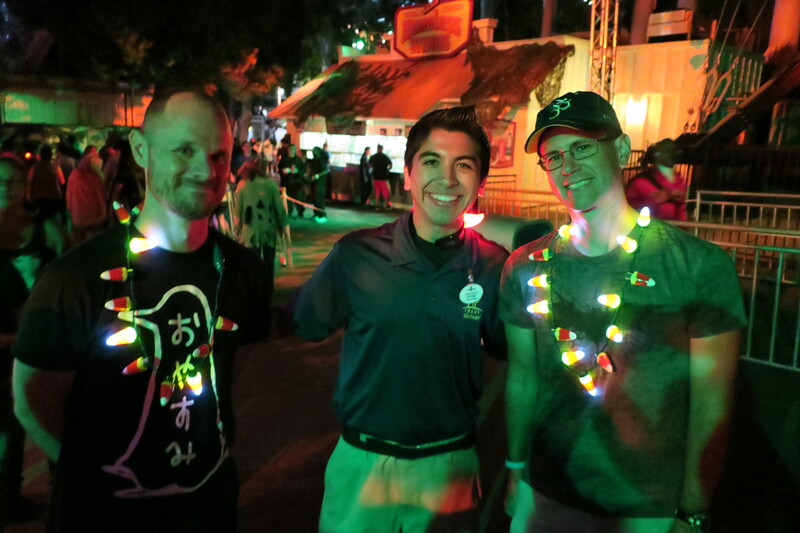 Plus, all the rides are still operational at night, mostly with reduced lighting to make them extra scary. This is a huge leg up over the Halloween attractions at other parks, since Six Flags has by far the best rides in the area anyway. Six Flags Fright Fest runs September 30 and October 1, 2, 7-9, 14-16, 21-23, and 28-30, starting at 7:00 pm. More information, including online ticket purchasing, can be found here. Halloween is really its own business, that is true. I always enjoy Fright Fest.